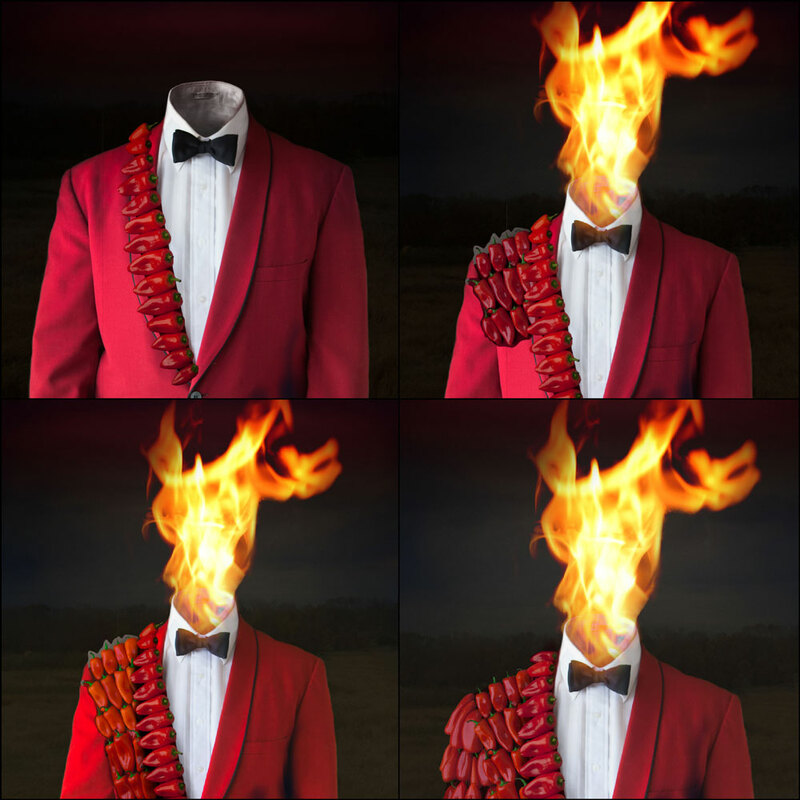 Peppers don’t stick to red jackets very easily. 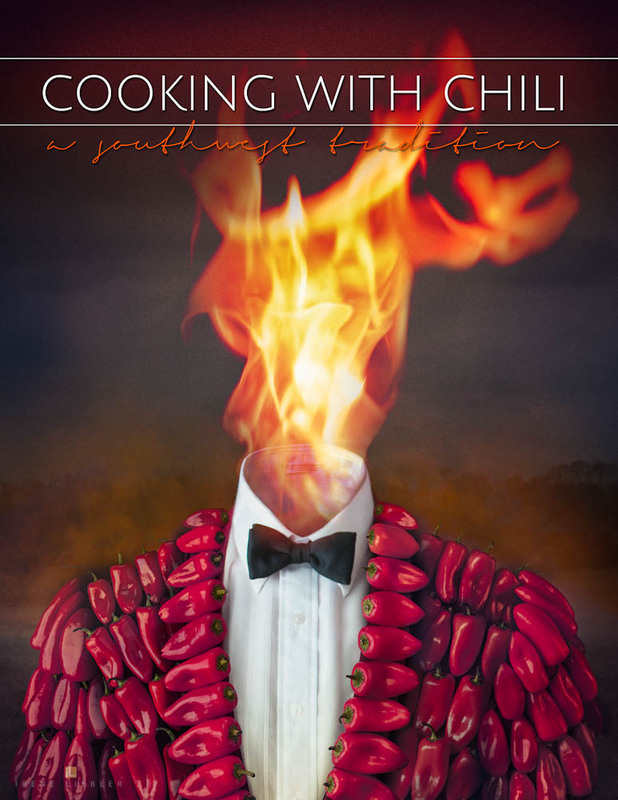 This photo illustration was created for a book cover design titled, “Cooking with Chili” with a general layout provided by the art director. My idea was simple enough, but a bit challenging, technically. Step One: Get lots of red peppers. Step Two: Stick them to the Man in the Red Jacket. Step Three: Light the scene and take the picture. I was able to get plenty of peppers at the local grocery store. 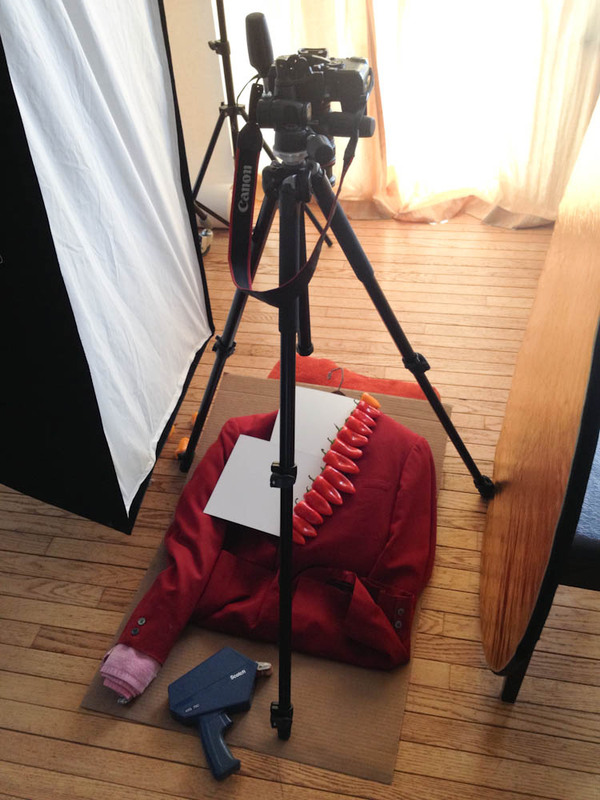 I had about 12 red peppers to work with so I laid them out in batches on the jacket, starting with the lapels. I took several photos and stitched them together. The fire photo was taken from my library of stock images. With the jacket on the floor, I was able to secure peppers. Lighting: Softbox on the left, gold reflector on the right.